The Magic of the Blue Cruise. Experiences on board a traditional gulet. True luxury lies in traditional experiences – far away from tourism and the jet set. The comfort of a first-class hotel is also included. 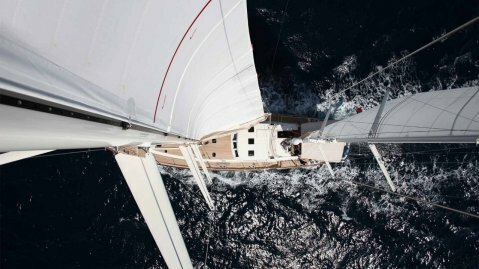 Investment banker Marie Lindbergh, 39, reports on her experiences on board a traditional gulet with her family. 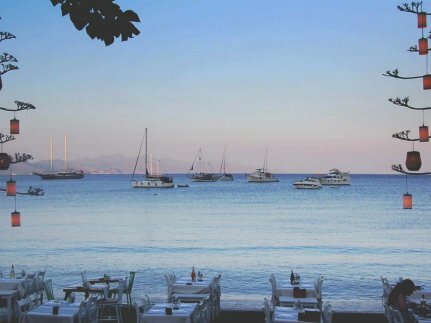 Bodrum is the Turkish Aegean equivalent of St. Tropez - with celebrities and well-known hotel chains surrounding the luxury yachts of high society. But the true luxury in the port of Bodrum makes a far more inconspicuous impression: the traditional wooden two-masted boats, called gulets, sail here in the local waters. These characteristic vessels are a refuge for all those who want to submerge themselves in the good life and experience the magic of the Aegean Sea. In surroundings oozing luxury, we take a Blue Cruise voyage that surprises us with unforgettable moments from the very start. Nighttime plunges the crystal-clear, turquoise water of Aquarius Bay into deep darkness and reveals an impressive natural spectacle: millions of stars are reflected in the warm water as we dare to take the plunge into the Mediterranean. Suddenly, the water below us starts to sparkle as if the stars have risen from it - the plankton is illuminated with our every move and immerses the night in a magical light. We feel at one with nature, far from civilization. To be closer to the stars, we decide to sleep on the deck. The crew sets up a cozy night camp for us, and the rhythm of the waves rocks us gently to sleep until sunrise. Over the course of our voyage, we meet playful dolphins who accompany our gulet for long periods, and delve into the traditional lifestyle of people along our route. 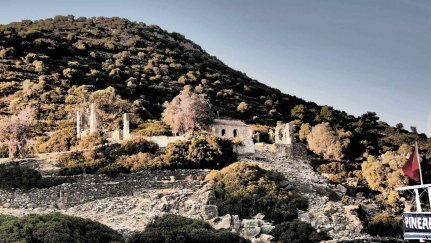 Picturesque fishing villages, the ancient marble city of Cnidus, and a Greek tavern that could be out of a storybook enrich our treasure trove of memories continually accompanied by incomparable sensations. In a secluded bay, we come across a local trader sailing on a ramshackle rowing boat, who tempts us with fresh fruit and home-made pide. This meeting once more gives us an opportunity to get involved with the traditional, real-life people. The Blue Cruise also has plenty to offer in culinary terms: We enjoy an excellent meal in the world-famous Maris Bay Resort while taking in the spectacular views of the surrounding bay. 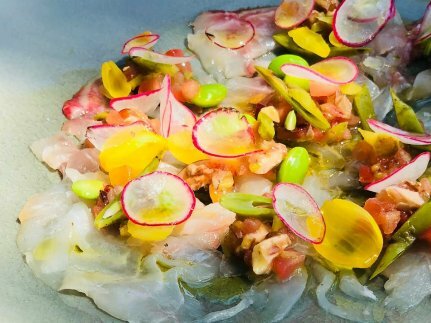 We dine in the first-class restaurant Port Frankie, where regional delicacies are conjured up in creative Turkish-Japanese fusion cuisine at Michelin-star level. And we will forever be dining out on the story of how we caught a huge tuna from our gulet ourselves, which was served to us as sashimi by our crew a short time later. The nature of the Aegean is full of culinary highlights, and the chefs on our voyage understand how to create unforgettable delights from it. Our journey is accompanied by the magic of the sea, as we discover a sunken shipwreck while snorkeling. Even before our thirst for adventure has been fully awakened, we come across a curious water turtle. She invites us into her world under the sea, mesmerizing us completely with her smooth movements. 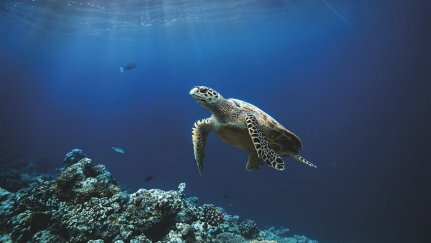 It is a timeless experience that shows us the beauty of our planet and leaves us feeling deeply moved when the turtle ultimately goes on her way. Our gulet takes us to wonderful, spiritual locations, far away from cities and people. At night, we explore a 2,000-year-old chapel. We light our candles in silence and are surprised to see, as if as a reward, an ancient image of Jesus that was not visible in daylight - an incredibly intense moment in these peaceful, historical surroundings. We are overwhelmed by the magic of this place - filled with peace and lost deep in our own thoughts. This journey takes us out of our fast-paced life into a world where time has no meaning. The Blue Cruise experience has taught us about ourselves - a priceless gift that will stay in all our hearts forever! The idea of the “blue voyage” originated in the 1920s, when the journalist Cevat Sakir Kabaagaçli from Istanbul explored the Gulf of Gökova by ship. In his reports, he called the journeys “mavi yolculuk” (blue voyage). 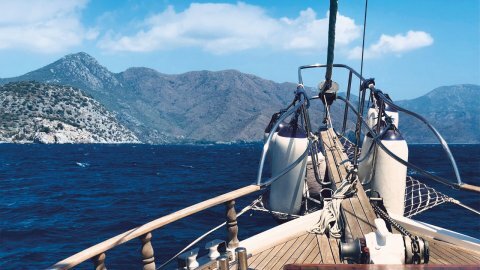 Nowadays, the best way to follow the route along the Turkish coast around Bodrum is with a boat charter, an experienced captain, and a spacious gulet. 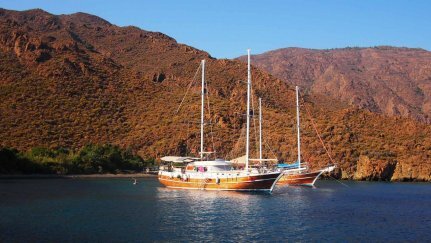 Individually planned gulet cruises are offered by designreisen.com, for example. How many passengers can it take? How long is a gulet? 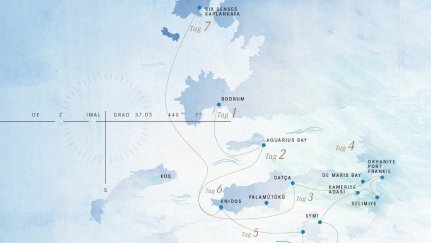 How fast is a gulet? How much is a gulet? Erol Ağan has dedicated his life to building gulets. He is considered the father of the modern gulet. 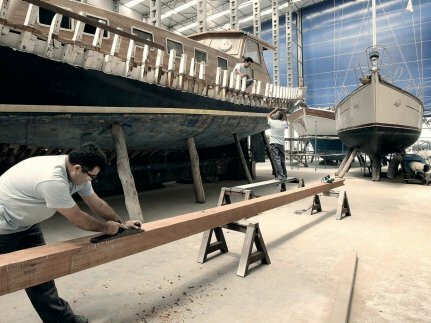 In the 20th century, the traditional wooden sailing boats were only still in use by sponge divers, until Ağan reinvented them as luxury sailing yachts. Today, his shipyard is the biggest in Bodrum. 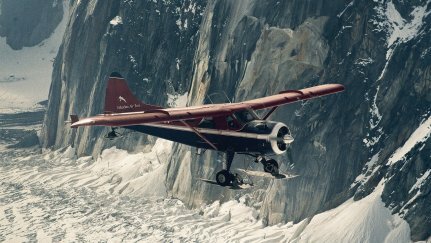 His gulets, of which he has built over 100, are considered particularly stylish and the best in the world. They impress thanks to their comfort, durability, and elegance. 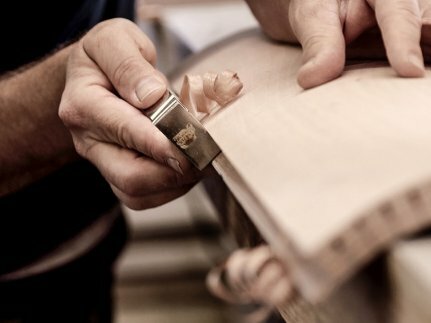 Ağan has unique shipbuilding knowledge that can only be attained through hard work, well-founded training, and years of experience. “Shipbuilding is my life,” says Ağan. “For me, every gulet has a soul and its own character.” A gulet should be able to withstand the impact of Mediterranean waves and strong winds. At the same time, it needs to be large enough below deck to provide the guests and crew with generous, comfortable, and cozy accommodation. 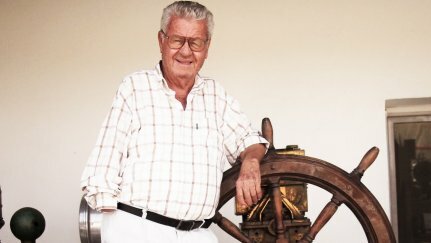 In the meantime, Ağan has passed on his company - Aganlar Shipyard Inc., founded in 1961 - to his sons, who have carried on building gulets and other yachts in line with his principles. No limits are set on luxury in the process. 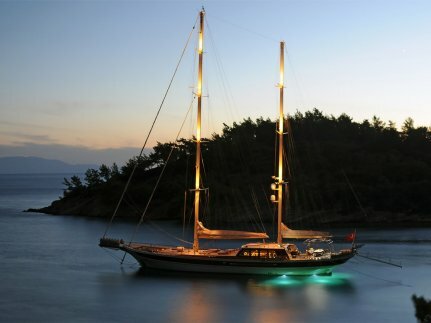 A gulet can cost up to ten million euros. 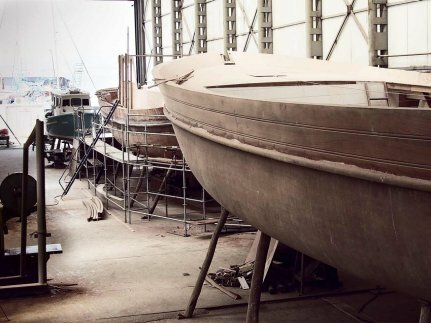 The 82-year-old still comes to the shipyard every day and happily keeps a watchful eye on the port and his workshops from his wooden bench. 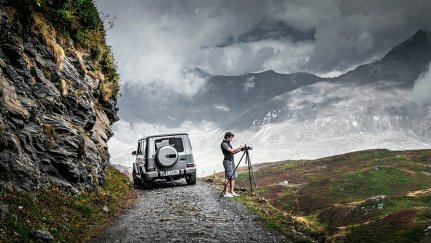 A trip along the most remote Alpine passes and gravel roads of Piedmont and Savoy with the Mercedes-AMG G 63.